Cleaning out your gutters can lead to some startling discoveries about the items that can become stuck in them, especially items you never imagined could find their way on top of your roof. Not only is it important to keep up with Gutter repair in Fort Myers, FL , it’s equally important to know common items that can work their way down into your gutters. Kids, your own or your neighbors’, have a tendency to sometimes launch items up on the roof. You may find the larger projectiles in your gutters, but you have to make sure you carefully check them for smaller items you can easily overlook. In addition to birds finding your gutters to be the perfect place to build a nest, the same is true of squirrels and wasps. You run an even higher risk of finding a nest in your gutters if there’s already debris in them that can be used to build a nest. Keep your gutters from turning into a wildlife motel by keeping up with gutter cleaning and gutter repair in Fort Myers, FL. Whenever you’re checking your gutters, be sure you inspect them for moss, which is likely to be in your gutters if it’s growing on your roof. Other plant life can start to grow with the help of the soil found in moss. Besides moss, you should also keep an eye out for pine cones, needles, blossoms and catkins. The spring and fall are when you’ll want to pay especially close attention to your gutters to make sure there’s nothing clogging them, and that’s especially true if you have trees growing near your roof or overhanging branches. Get in touch with companies that specialize in gutter repair in Fort Myers, FL, for more info on common gutter-clogging culprits. Knowledge and good workmanship can go a long way in keeping your finances out of the gutter. One of the most important decisions you may make about your home is choosing a roofing contractor. While putting in a walk-in closet or installing a shower may be major undertakings, having a roof over your head, and a reliable one, is among life’s chief necessities. Just as you want your roofing service in Fort Myers to put care and effort into installing your roof, you should invest energy to research and choose the right roofing contractor for your home. It is imperative that your roofing contractor has full certification and licenses to work in your area. Ask for the company’s tax identification number to verify it is a legitimate business. Also contact official organizations for roofing contractors to see if the company is listed. Fortunately, there are many resources on the internet that allow you to find reviews of companies that provide products or services. The drawback is that it is hard to know if these reviews are legitimate or are truly created by customers. Word of mouth is still one of the most reliable ways to find information about how effective a company’s services are. If you have a friend, neighbor or family member who has had a roof installed, ask them if they can recommend a roofing service in Fort Myers. 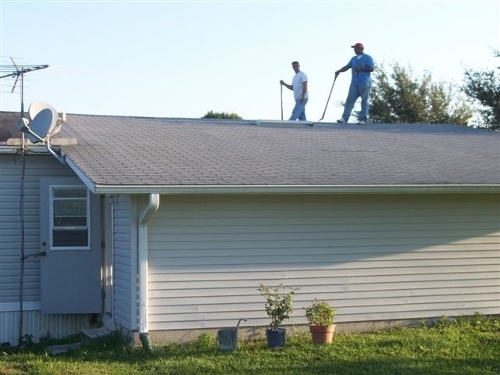 An upstanding roofing company should offer a free estimate of the roofing tasks. This estimate may require a visit to your home, and may involve the contractor going on the roof to make an inspection. Some companies use satellite imaging to get a picture of your existing roof. The warranty is also an important consideration when choosing a roofing contractor. Read the fine print of the agreement and make sure the contractor will guarantee his or her work. 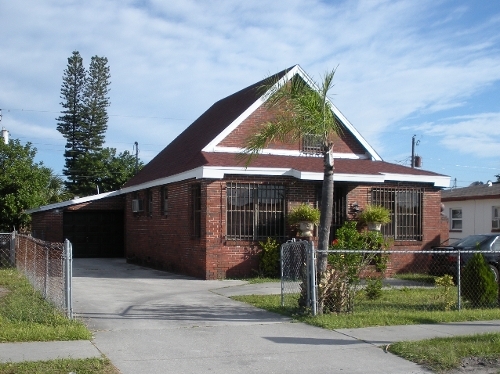 If you need a new roof, do your research and shop around before selecting a roofing service in Fort Myers. Look for the right qualifications, reviews, references and reliable warranties. A durable roof should last for years and give you and your family peace of mind.